So I may have problems with walking at the moment but at least I can still take photos. 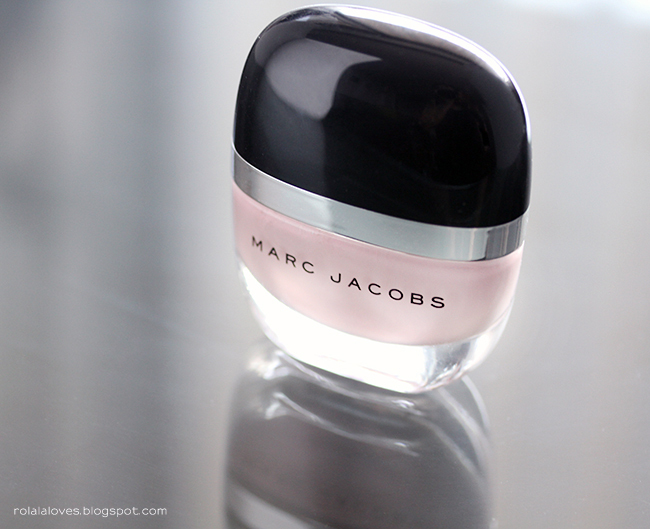 I picked up this Marc Jacobs Beauty Nail Lacquer 142 Fluorescent Beige last week at Sephora and I'm already smitten. I suspect it will be making an appearance in my next Recent Loves feature and I'll talk more about it then. Footwear options can be limited when you're in an ankle brace. 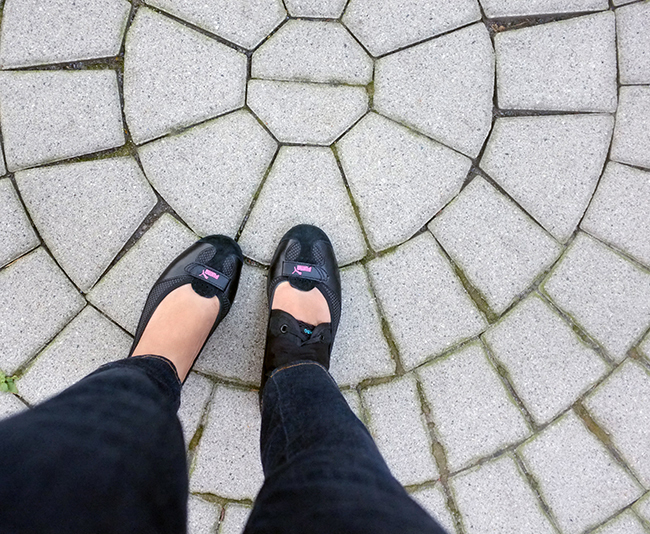 I ordered another pair of Puma Zandy flats since I've been wearing my last pair in coral pink to the ground. I like that they're styled like ballerina flats with the comfort of sneakers. We had some points accumulated at Amazon so I ended up paying just $7.56 for these. Hubster got some new kicks as well. 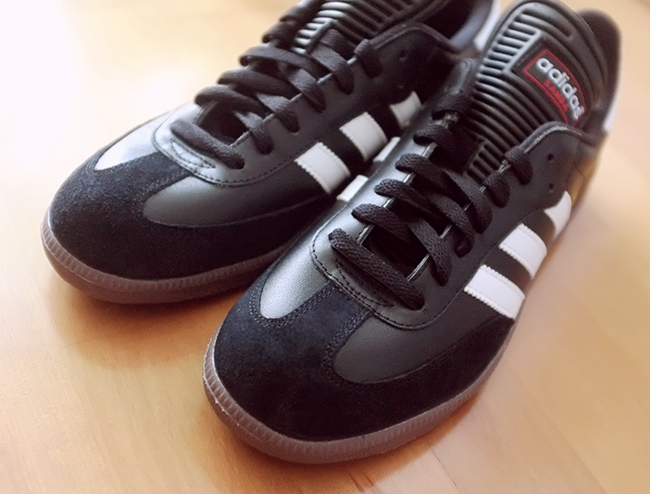 He's going on his third pair of Adidas Samba shoes. He likes to be comfy for his commute and changes into dress shoes for work. These are classic cool and actually look really good with dress pants and a dress shirt. We're big fans of Shake Shack and go there at least once a month. 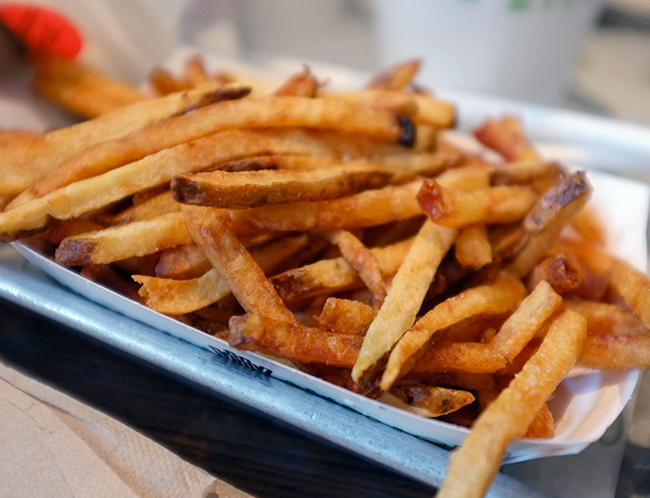 They recently introduced fresh cut french fries and they're awesome. I think the old frozen crinkle cut ones do make for better cheese fries though. Nachos with chicken from Calexico on the Lower East Side. Not the healthiest thing but it's not like we eat these all the time and they taste so good! I usually make boiled dumplings but decided to try my hand at some home made pot stickers. The filling is definitely more complex. This is a mixture of pork, beef, shitake mushroom, chives, onion, scallion and garlic. The prep was worth it as they turned out incredibly juicy and tasty. 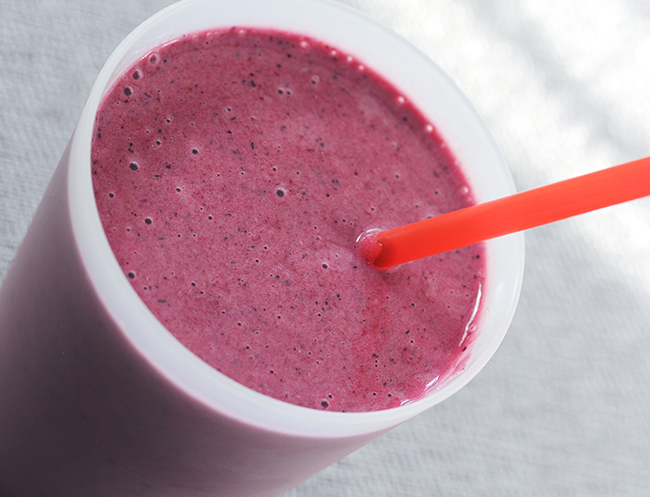 Berry smoothies or some variation have been my breakfast of choice for most of the summer. I try to keep it healthy most of the time so that we can indulge a little when we go out to eat. Gorgeous photos! I've never been to Shake Shack but that fries photo is really making me want to go! Amazing pictures my dear.Seriously you should show us more of your shots apart from magazine issues because I think you have a talent there :) What camera and lens do you use? And hope you get better soon and walk freely!! Everything looks so great! Fabulous. Love these photos. The food looks absolutely delicious. Everything is so great and pretty. Mmm the nachos and dumpling love food now I want some of that. Cool post doll Happy Monday. Your food pics are incredible! those puma flats are so cute! 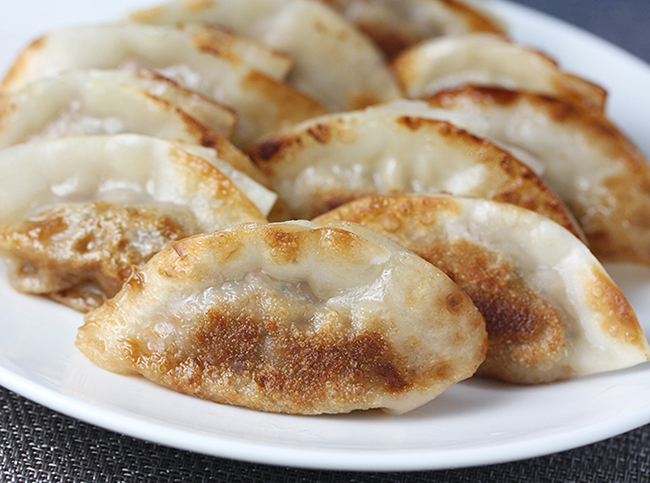 and omg - those pot stickers look so delicious! Long time, no see (read) Rowena. Hope your ankle gets better real soon. The nail polish looks so lovely, please model it soon on your fingernails. Yummy food photos as always. Take care. I really hope you get better soon dear! It is definitely a bummer to walk around in an impeded state like that around Manhattan. I once had a cast and taking the train was horrible. My company at the time ended up covering cabfare for a few weeks which was awesome. Anyway, I heard about the new fries too and they look great! I'm also very jealous that you've scored Marc Jacobs beauty products already! Have a good week dear! I hope those ankle braces come off soon, Rowena! you are a talent born! lovely pictures ,! All of that food looks so good! Only 17 minutes until lunch time haha. Also, love the quote on the last pic! Love all your photos. Those Nachos sure look delicious. Hey there, loved your blog, just followed you on GFC, (477) would you mind to follow back? Rowena, I can't wait until your Marc Jacobs post! I purchased Marc Jacobs Desire nail lacquer and neo noir lipstick. I want to link your post to mine. So I'll wait for your review (if you don't mind). Love you & your hubby's shoes! You make wearing a brace chic! I wish I knew about that when I had to wear one. I wish there was a Shake Shack near me. The food looks delicious. lovely post! that marc jacobs scent looks good! beautiful photos! ahh and ive been eyeing that marc jacobs product every time i walk into sephora. cant wait to see what you have to say on it! ahh and stop making me so darn hungry~ lol! They certainly don't look the healthiest things lol, but aren't they always among the yummiest! Your shoes are so cute (and that brace *is* pretty stylish ;)! 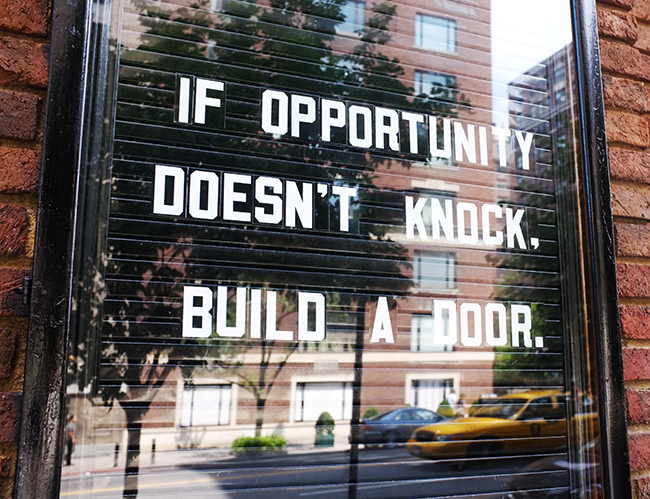 You should if you get the chance! It's amazing! Thanks! They started serving them first at the UES location. I read that they need to change out some of the kitchen equipment for them so it may take a little while before all the locations carry them. Thank you! I actually am a photographer and post my own photos one here quite often. Some of these were taken with my point and shoot Panasonic LX5 and the rest were taken with my Canon 7D. Hope you heal your feet fast. Love that last pic with the quote! So true. You totally should visit Calexico! The nachos are amazing and they have awesome quesadillas too! I sprained all the ligaments and tore a tendon in my ankle boo. Thanks ! They sure tasted delicious! I'll try to do the post next week but I'll let you know when I do and I'll link yours to mine as well. Thanks for saying that! I'm so glad I didn't end up with a boot. My doctor said this kind of brace would be best for my condition. Shake Shack is always expanding so there is a chance that one might open in NO in the future. I've always lamented the fact that there is no Sephora in Ireland, but never more so than when the Marc Jacobs beauty line was launched! I'm sorry about your ankle but at least the brace almost looks like it's part of the shoe! Fluorescent beige sounds like an interesting color, I'd love to hear more about it. I finally found the show I was talking about, it's called The Cafe, and around here it's on at 9 pm Sat and 5 am Sunday. I'm sure I caught part of the 5 am show. It seems like a series but I only saw the one and enjoyed it. All your food photos are making me hungry, they look so delicious! Now, with these photos, I'm so hungry!!!! Beautiful pics...I follow you on GFC, I hope you follow back! On a positive side, the MJ polish is so pretty! The nail polish looks lovely. And the package is beautiful (I love nice package). :) I couldn't agree more with that quote. Wishing you good health, Rowena! shake shack and nachos count me in.. i like your puma. Oh those fries look so good!! And that is such a pretty polish! It's a perfect everyday shade! Great pics! I love dumplings And looks so yummy! I love the saying and the nail polish. Awww, hope everything with your foot/ankle is getting better!! Great photos! I'm almost out of my perfume and have been on the hunt for a new fragrance. I'm going to have to check out the Marc Jacobs one you got. 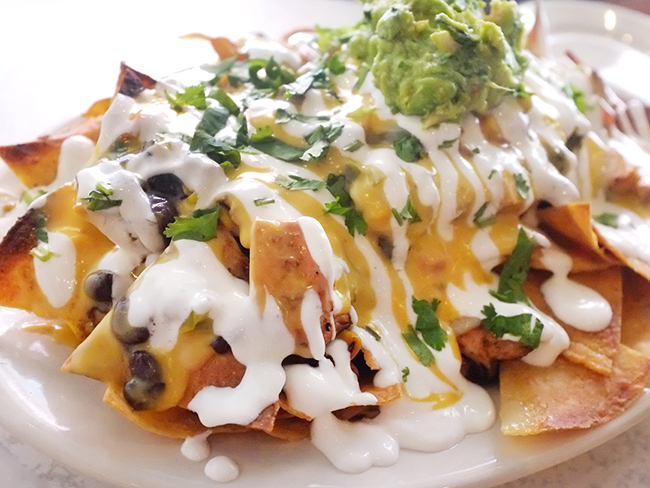 And those nachos look amazing!!! Dear Rowena, I was thinking of your walking issue, and a lovely brand featuring super cute ballerinas and loafers came to my mind: Ras. Hope it can help :-) Love all of your pictures by the way! Off to check out the Puma flats, but hope your ankle brace can come off soon!